In all honesty, I’d never complain if someone classified one of my character strengths as humility. However, the act of “being humbled” is not something that I proactively seek. Parenting on a short-term mission trip can definitely humble your soul! Since you’re together with your team 24-7 for about 10 days, all the “family dynamics” are exposed. Situations like sibling rivalry bubble to the surface. Or times of reflection occur where you are waxing eloquently on about how God has touched your very soul through an experience — only to hear your youngest start to gently snore in the background. Especially humbling are those beautiful opportunities for you to calmly discipline and re-direct your children … but instead, you absolutely blow up. It’s funny though, how all of that pales in comparison to moments when your kids experience a reality and ask the tough questions that humble you to the core. They may ask, “Why do we have so much?” or “Why doesn’t our family do more to right the wrongs that are around us?” It’s then that being humbled can really tug at the depths of your soul. The Bible tells us, “God opposes the proud but gives grace to the humble.” (James 4:6b). I guess a little humility is actually a good thing! In life, it is often easy to see what YOU want to see. However, on short-term mission trips you are frequently confronted with realities that you may not be able to easily handle. One particularly needy teenager (the same age as my daughter) asked my daughter for her shoes. My daughter didn’t quite know how to process this. One teenager with whom we were working, revealed that he was being heavily pursued by a gang. He felt like he had to make a decision – once and for all – as to whether he would choose gang life or God. He felt God was extremely far away. I was heart-broken. 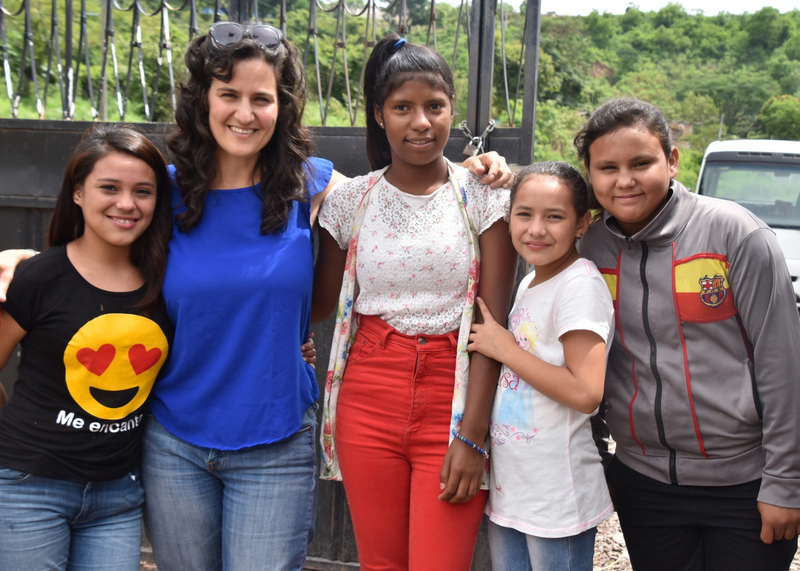 Many of the students we worked with were compelled by family to drop out of school to pick through garbage and make twenty cents a day for the family. Knowing that education could unlock so much future potential, it seems cruel to have to decide between pleasing your family today or all the opportunity of tomorrow. Even with all this, God is sovereign. He allowed us on the scene at those moments to act and speak truth into these very situations. We’re merely vessels; if we allow God to use us, He will. Another thing I’ve learned while going on a family mission trip, is to never take anything too seriously! This begins with the itinerary. Everything is always subject to change and it has taught our family SO much about flexibility. In fact, our family motto is “Fun and Flexible.” If you get the opportunity to participate in a family mission trip, expect the unexpected. Expect to laugh a lot, as well. Often times there are opportunities for you to be vulnerable while experiencing new things. Be vulnerable while trying the other culture’s food, games, and even language. You’ll discover new favorite foods (and you’ll appreciate a few foods you miss from back home), you’ll connect across cultural and language barriers over entertaining games, and you’re guaranteed to completely botch up the new language in hilarious ways. All this contributes to incredible memories and entertaining stories when you get back home. Short-term mission trips have so many tangible and intangible outcomes that can impact and alter our lives long term. By stepping out of our traditional context, we create an opening for the Holy Spirit to move in our lives like never before. Often times, this “stepping out” stretches our perception of reality. We’re exposed to real lives and real stories that we can’t easily disregard. Instead of just hearing a story or watching a story via media, we get to see, hear, touch, smell, and even taste some challenging truths about the world we live in. This is especially raw and authentic when you experience it not only through your own eyes, but specifically through the eyes of your loved one. Our two trips to Honduras were uniquely positioned to partner the strength of CCI (Christian Camping International) with the vulnerability of some of the most marginalized students whose families both worked and lived in the capital city garbage dump. (Yes, you read that correctly.) So as part of our mission we not only took the students out of this context for an intensive, amazing Christian camping experience, but we also ventured into their world. And their world left us speechless … speechless, because of both the liabilities AND assets in their lives. It would be easy to focus on the deficits. It’s overwhelming to walk over piles of filth and witness the raw depravity of opportunity. However, their hope remains. Physical strength, strength of character, discipline, and determination are all characteristics that come to mind to describe those we encountered. Also, true hope is uniquely tied to faith and trust in God. Proverbs 3:5-6 reminds us to “Trust in the Lord with all your heart and lean not on your own understanding; in all your ways submit to him, and he will make your paths straight.” And the beauty of bearing witness to this hope on a family mission trip is that there are countless opportunities to reflect and be inspired to act on what was learned for years to come. 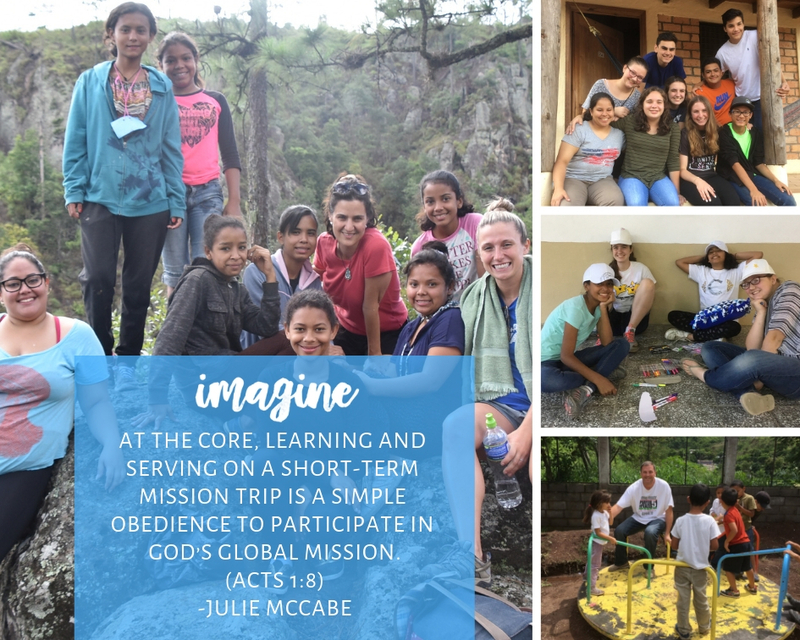 At the core, learning and serving on a short-term mission trip is a simple obedience to participate in God’s global mission (Acts 1:8). But doing this as a family brings so many added dimensions. I challenge you to pray, specifically asking God if you and your family are ready to be stretched and molded by the humility, heartache, hilarity, and hope of a family mission trip! Julie McCabe, alongside her husband Bryan and their two daughters, have lived and worked in the Homewood neighborhood of Pittsburgh for over a decade. She has studied urban ministry in cross cultural contexts with marginalized populations while living it out on a daily basis. 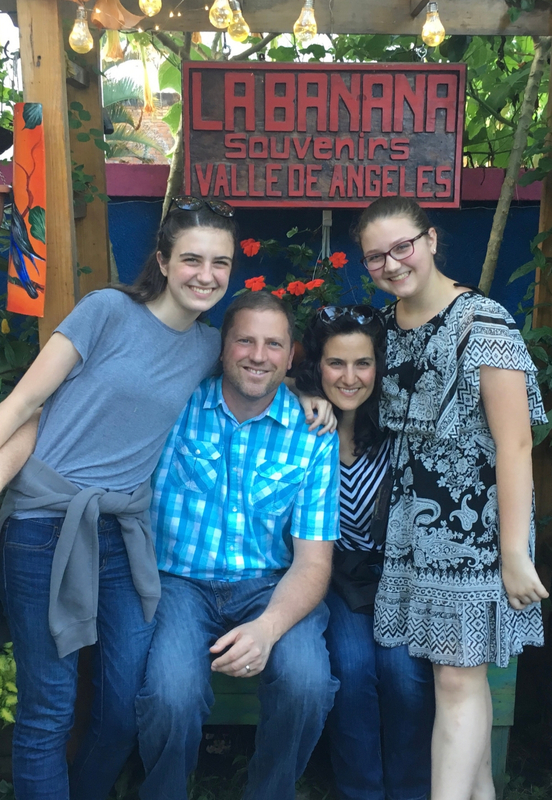 Family mission trips allow her to answer God’s call in Acts 1:8 while continuing to learn from God’s people in countries throughout the world. “Fun and flexible” is their family motto. 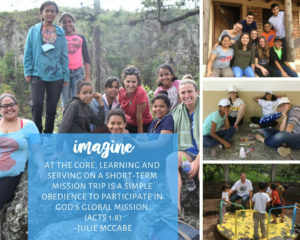 Interested in experiencing a missions trip with your family? Check out North Way’s Short Term Missions opportunities. Gracias amiga por venir a Honduras y dejarse ser usados por Dios.